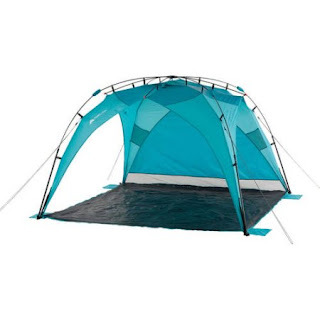 Right now this Instant Sun Shade is as low as $19.99 (Reg. $69) when you order 2 or more! Shipping is FREE on this offer! The Instant Sun Shade is great for the beach, picnic, back yard or sporting event, anywhere you need portable shade and shelter! The sun shade sets up or tears down super quick! Sure to keep you cool and the shade provides UV 50 plus protection. An additional privacy panel is included for even more shade and protection and can be attached to either side of the shelter. The Instant Sun Shade is easy to transport and store in the included carry bag with strap.